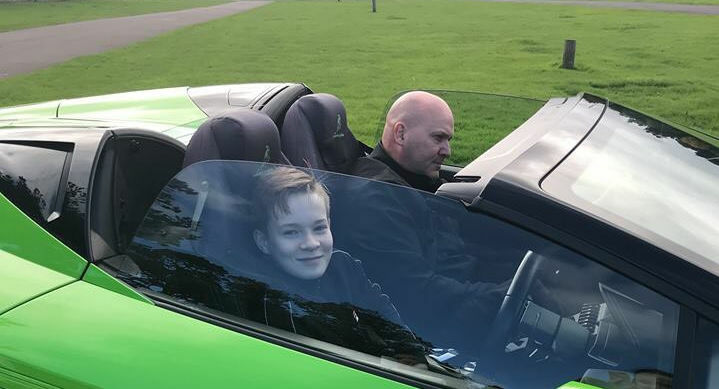 Prepare to make a teenager’s day, maybe even year, when you purchase them a 15 minute Supercar Driving Experience for them with us at our specially tailored Junior Supercar Drive Events. While we are dedicated to making the session fun for all those involved our focus will always be on the drivers’ safety. All of our cars are maintained in house to exacting standards and each drive will be accompanied by one of our highly trained and dedicated ARDs instructors who will ensure the junior driver is fully briefed and given a tour of the track before they get behind the wheel. Your Junior Driver will get the chance to drive one of our modern fleet of Supercars. They can choose from makes such as Ferrari, Lamborghini, Porsche amongst many others. Our Young Driver Experience sessions take place on our dedicated “Teen Track” to ensure the road is clear and quiet and allows the learner to go at their own pace. The track will be set up to mimic a real road driving experience with obstacles such as roundabouts, junctions and plenty of manoeuvre practice situations. Ingliston Driving Experience venue is situated within the Royal Highland Centre. Motor racing here may have ended in the mid-nineties but a recent investment into the track has led to a resurgence in Motorsport on the circuit. All our Teen Drivers will leave their session, not only with a better understanding of how to control a car and a basic understanding of the rules of the road, they will also be given written notes from their instructor – for those who are very close to being legally old enough to learn to drive this will be an invaluable document to be able to show their instructor as it will allow them to better tailor the lessons needed by the student driver.